Last January, on occasion of the Salon International de la Haute Horlogerie held in Geneva, Laurent Ferrier presented the Galet Micro Rotor "Montre Ecole", a new model inspired to the first timepiece created by the master watchmaker in his school years, a pocket watch characterised by lines and finish typical of the 19th century tradition. 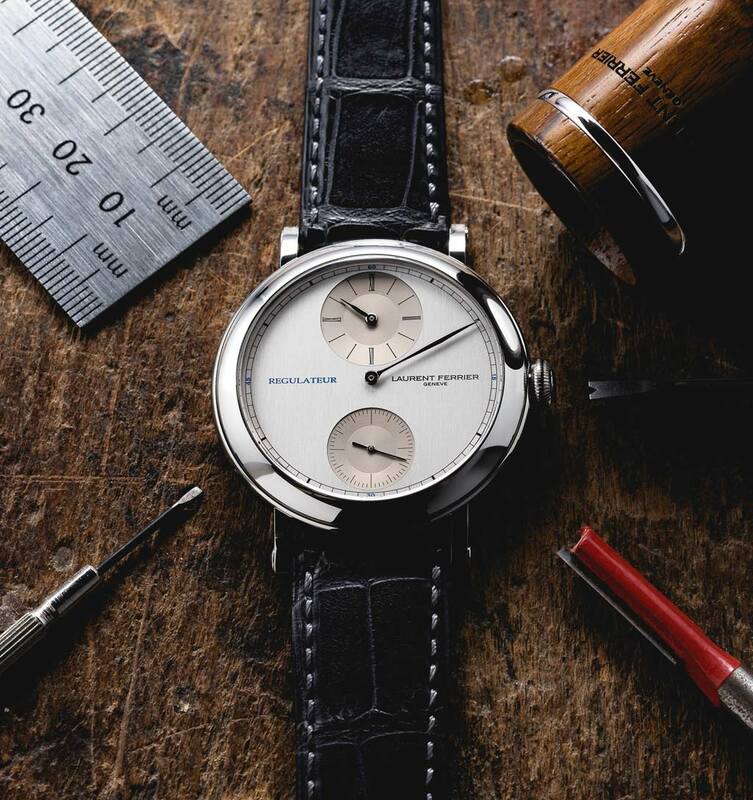 Laurent Ferrier is now presenting a second model with the same case, the Galet Micro-Rotor Montre Ecole Regulateur. 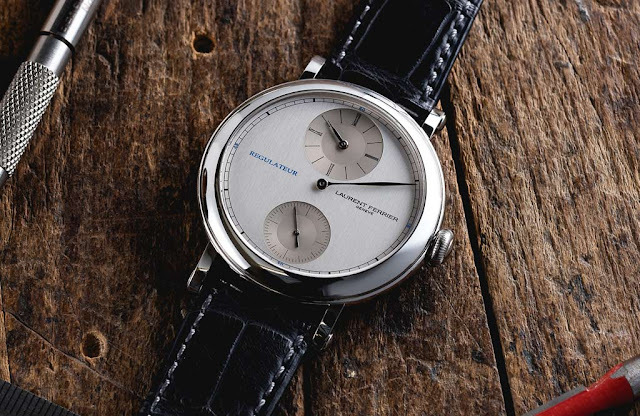 As typical in a regulator watch, the three indicators are displayed separately: the large, centrally-positioned hand for the minutes, the sub-dial at 12 o’clock for the hours and below, at 6 o’clock, for the seconds. The watch is powered by the FBN Calibre 228.01, an automatic manufacture movement equipped with micro-rotor winding system fixed between the main plate and the micro-rotor bridge, a silicon escapement with double direct impulse on the balance, and a silent block shock protection system for the micro-rotor. Visible through the sapphire crystal caseback and beautifully finished, the movement beats at a frequency of 3 Hz (21,600 vph) with a power reserve of 72 hours. 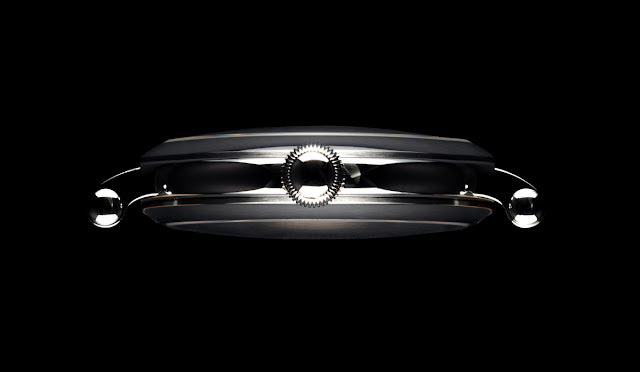 Available in stainless steel case or in white gold, the 40 mm three-piece case is water resistant to 30 metres / 100 feet. The silver toned dial has a vertical satin-brushed finish with the minute and seconds counters recessed and contracted with a nickel snailed finish. 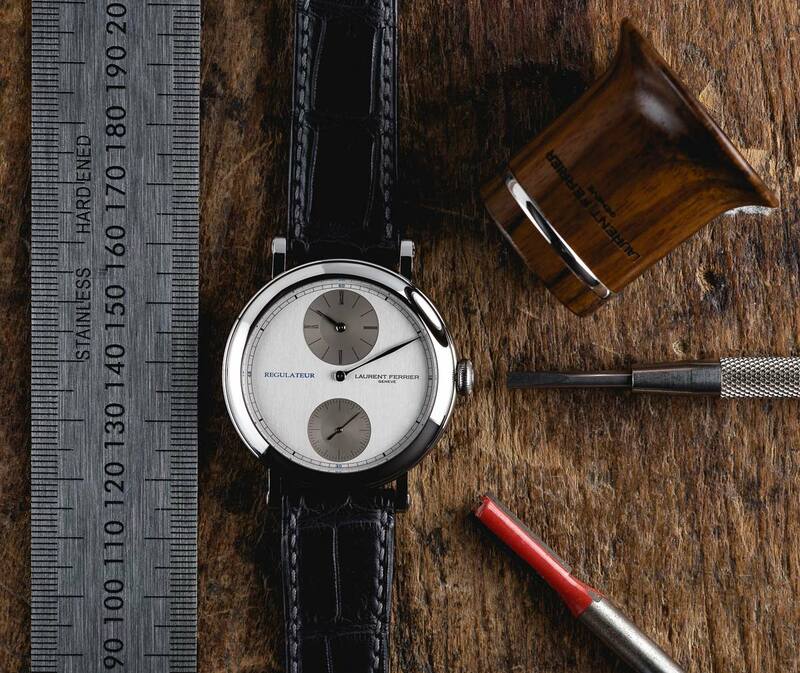 The small hours dial bears Roman numerals in black, while the minutes are shown on a "railway track" ring in slate grey with blue painted Arabic numerals at 15, 30, 45 and 60 minutes. The hands for the three functions include a "leaf-shaped" hand for the hours, an "assegai-shaped" (from the spear used by the Zulu) hand for the minutes and a baton-shaped hand for the seconds. All three hands are in white gold 18K/210Pd with a black ruthenium treatment. Laurent Ferrier is now presenting a second model with the same case, the Galet Micro-Rotor Montre Ecole Regulateur. 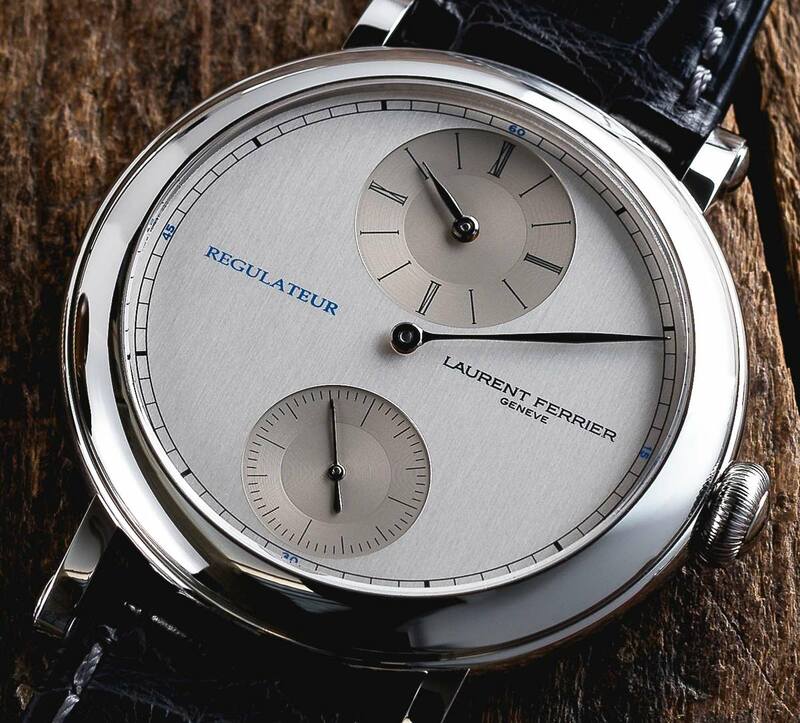 As typical in a regulator watch, the three indicators are displayed separately: the large, centrally-positioned hand for the minutes, the sub-dial at 12 o’clock for the hours and below, at 6 o’clock, for the seconds. The Laurent Ferrier Galet Micro-Rotor Montre Ecole Regulateur will be available from July with a price of Euro 34,900 in stainless steel or Euro 44,300 in white gold.